4 Steps for Fixing Credit Report Mistakes (Pt. 2) - Castle Rock Bankruptcy Attorney - Jon B. Clarke, P.C. 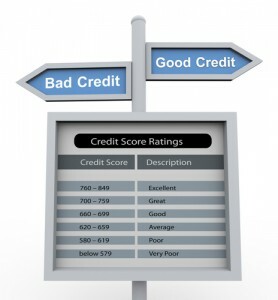 Continuing from 4 Steps for Fixing Credit Report Mistakes (Pt. 1), here are the next steps to take when you notice mistakes on your credit report and are ready to take action to get them corrected. Contacting the credit reporting bureau and keeping copies of all of your communications are essential steps to getting credit report mistakes corrected. Step 2: Contact the credit reporting bureau. Contact the bureau to find out how you should go about officially disputing erroneous information on your credit report. Keep detailed notes and records regarding your efforts to get credit report mistakes fixed. Keep copies of all letters and other evidence you may send them as you work on getting the information on your credit report corrected. The process of getting errors on credit reports fixed can take weeks or, in some cases, months, as personnel at banks, lending institutions and credit reporting bureaus may conduct their own investigations into your dispute (and they may be juggling many other cases or projects at the same time). Therefore, make sure you are persistent in your efforts and follow up with the appropriate agency if you haven’t heard anything back from it in a while. This is where keeping copies of your letters and other evidence may come in handy, as you may need to resend such documents. When the bureau or bank recognizes that an error has been made with your information and they ultimately take action to correct it, you will receive a letter of the official decision and the course of action taken. Again, keep this letter for your records in case you need to prove at any point in the future that an agency or bureau sided with you in the dispute. Step 4: Continue to monitor your credit reports regularly and thoroughly. After fixing credit report mistakes, it’s important to continue to diligently monitor your credit reports for any other errors that may pop up.